The Lawrence Humane Society is a wonderful organization which has done tons of good for the animals in Lawrence in the last four decades. 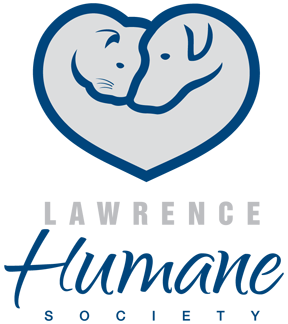 The Lawrence Humane Society is very involved with Lawrence. From events like "Paint, Sip, Love" ,where a person can come draw their pet at Painted Kanvas, to the "Mixed Breed Mixer" where pet lovers can bring their dog to a casual evening with food, music and shelter tours. In 2014 the live release rate for cats was 82% and they helped over 1000 cats find their forever home. 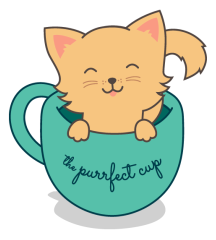 The Lawrence Humane Society will now be partnering with The Purrfect Cup. All cats in Cafe will be from the humane society. All kitties will be up through adoption as well. Every cat will be up to date on vaccinations, etc. Making sure the cat's are happy and healthy is The Purrfect Cup's top concern. We will work closely with the Lawrence Humane Society to ensure the cats brought in are suited to interact with each other as well as patrons. The Cafe will also have an area where the cats can get some alone time. The Cat Clinic is THE place to take your feline friends. Their mission is: To make life better for cats and their people by providing expert, effective feline health care with minimal stress and maximum compassion. They provide expert feline veterinary care in a calm, quiet hospital with state-of-the-art equipment for diagnosing and treating your cat’s problems and maintaining his or her health. The Purrfect Cup is proud to be affiliated with the Cat Clinic. Once opened we will be a venue for classes and events for the Cat Clinic of Lawrence . Jennifer L. O’Driscoll, DVM, MS will also be providing additional love and care to the cats from the Lawrence Humane Society living at The Purrfect Cup.